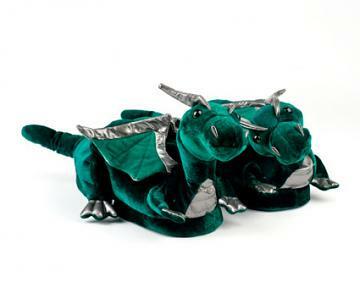 Once feared as ferocious creatures, these Dragons have been tamed into extreme cuteness. 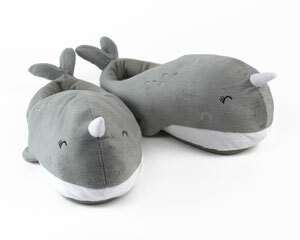 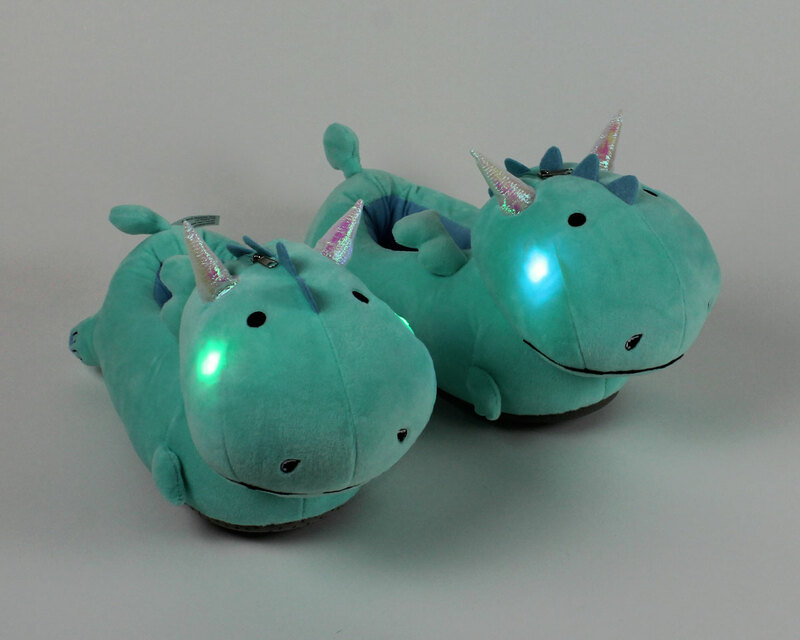 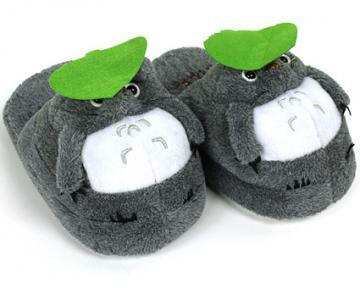 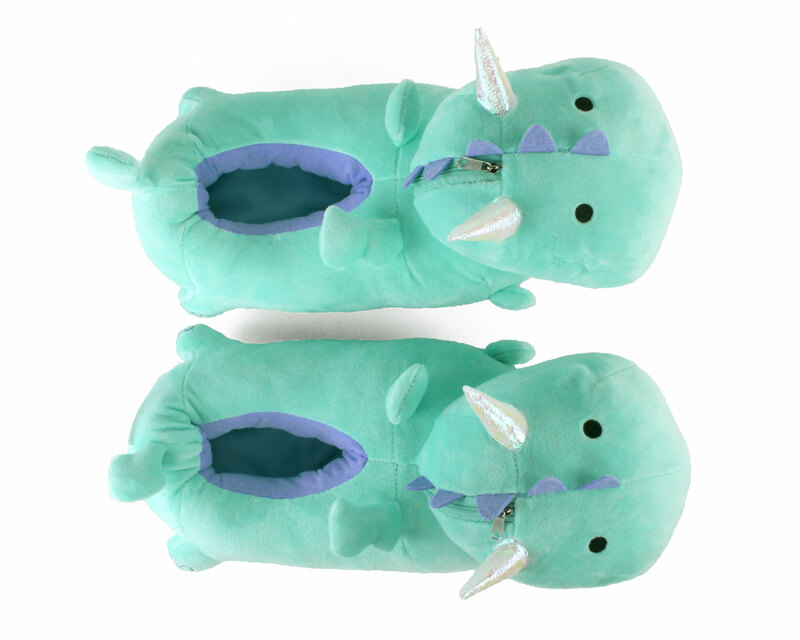 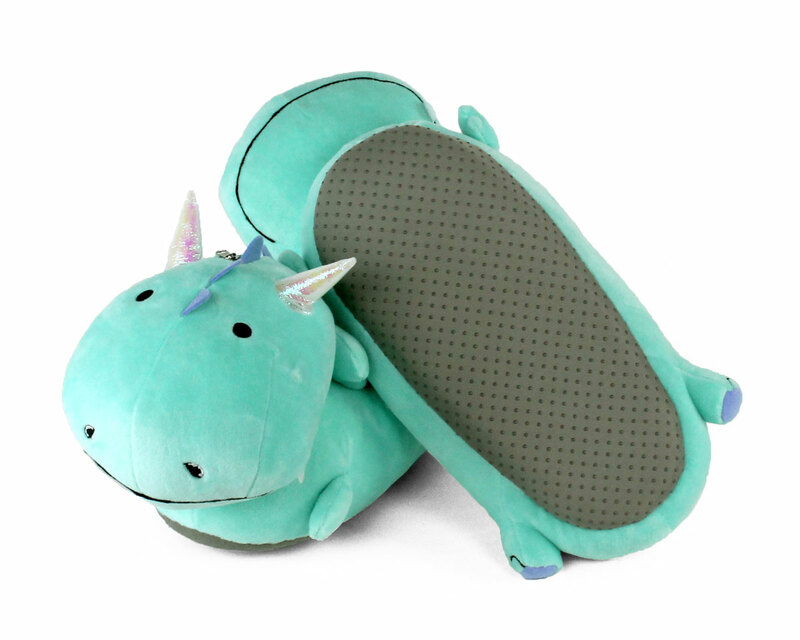 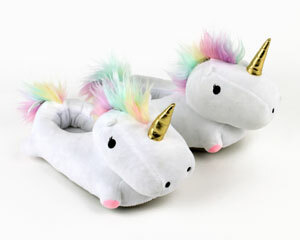 Our Dragon Light Up slippers come complete with wings, blue spines, shiny metallic horns, and one tooth each. 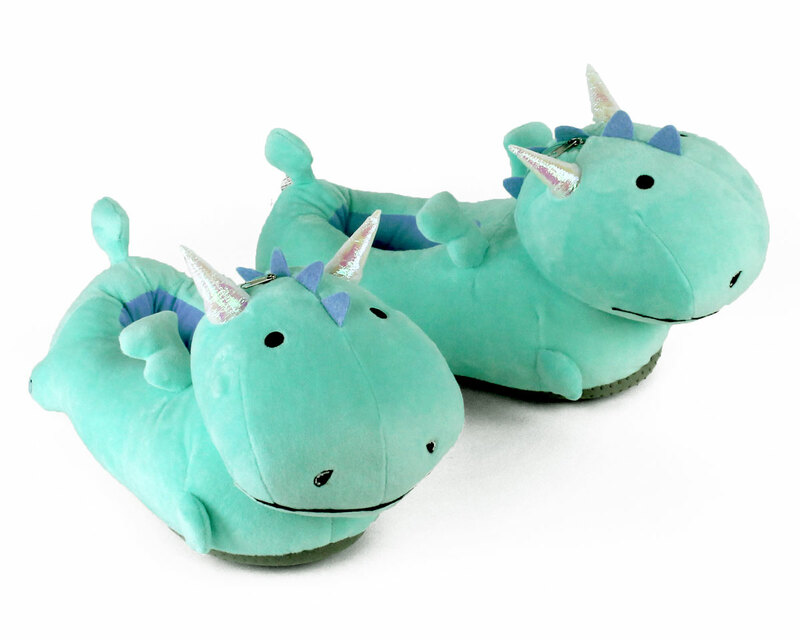 They don’t breathe fire, but they do glow with Dragon magic! 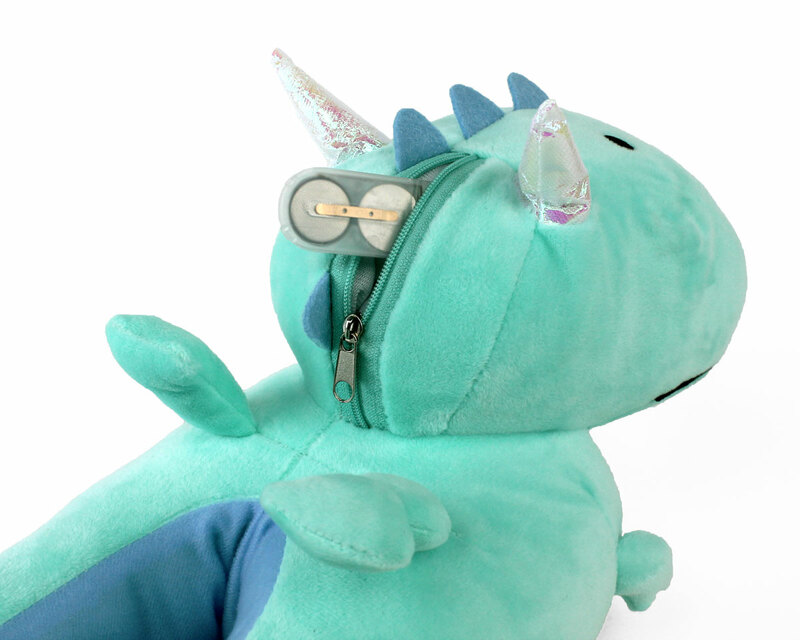 To activate the LED lights in their faces, unzip the battery pouch, insert the included batteries, and turn the power switch on. 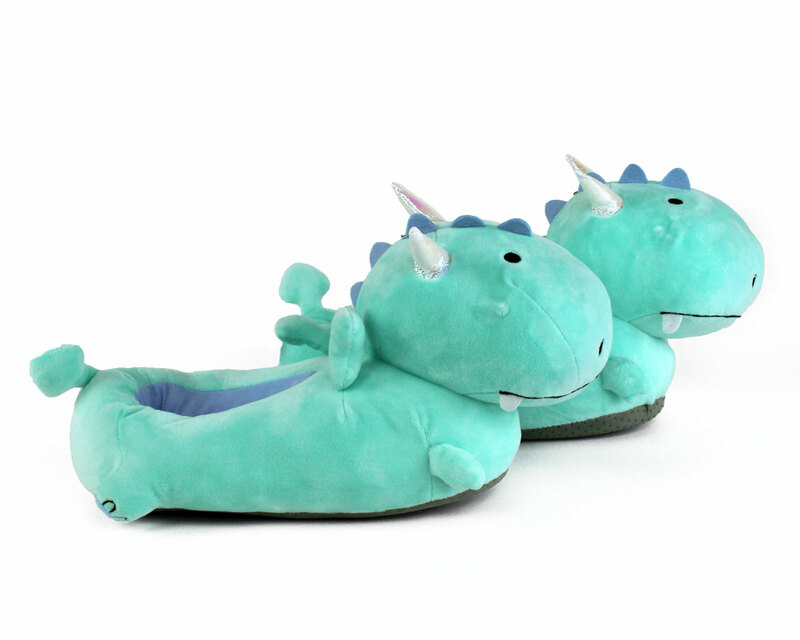 Take a few steps, and you will watch with amazement as your Dragons cycle through a rainbow of colors!